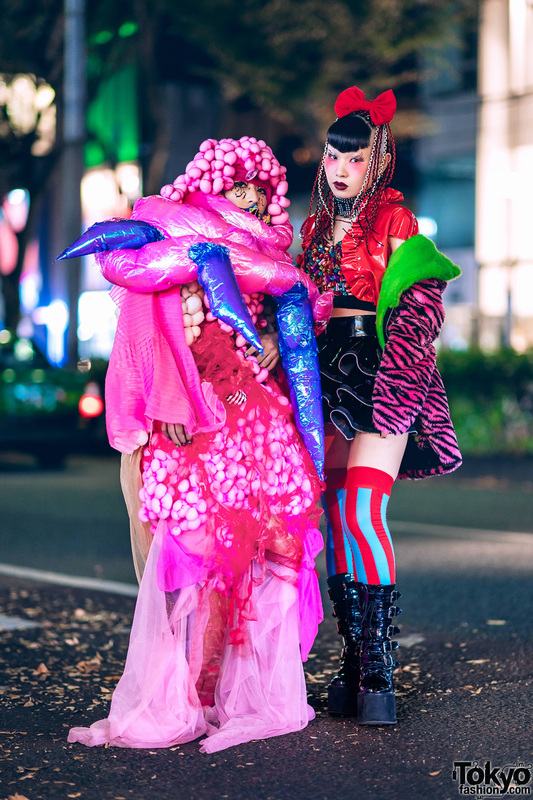 GlamHate fashion designer on the street in Harajuku wearing statement making pieces by their own brand as well as Dior and Question Mark. Harajuku girl wearing a faux fur coat with faux leather shorts, striped socks, patent platform boots, a statement choker, and Anna Sui x Marc Jacobs bag. 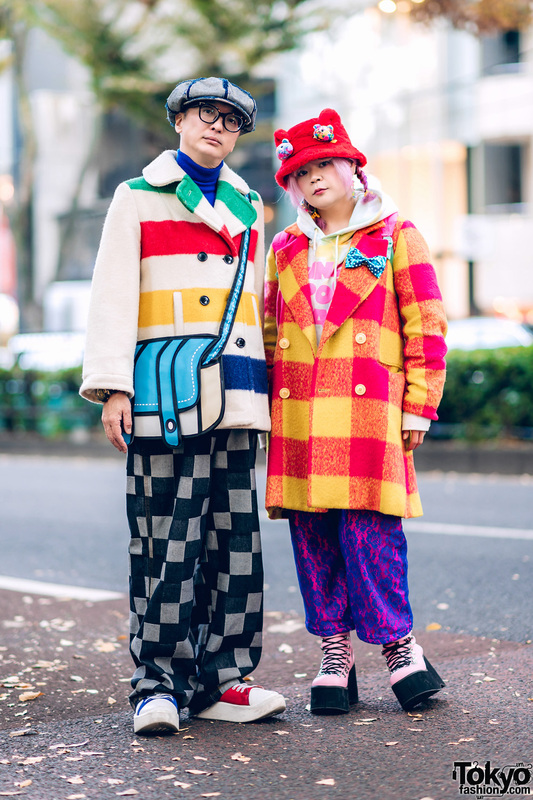 Popular Harajuku duo sporting colorful shearling coat street styles while out on the street one afternoon. Harajuku duo both sporting all black gothic streetwear looks while out and about one fine evening. 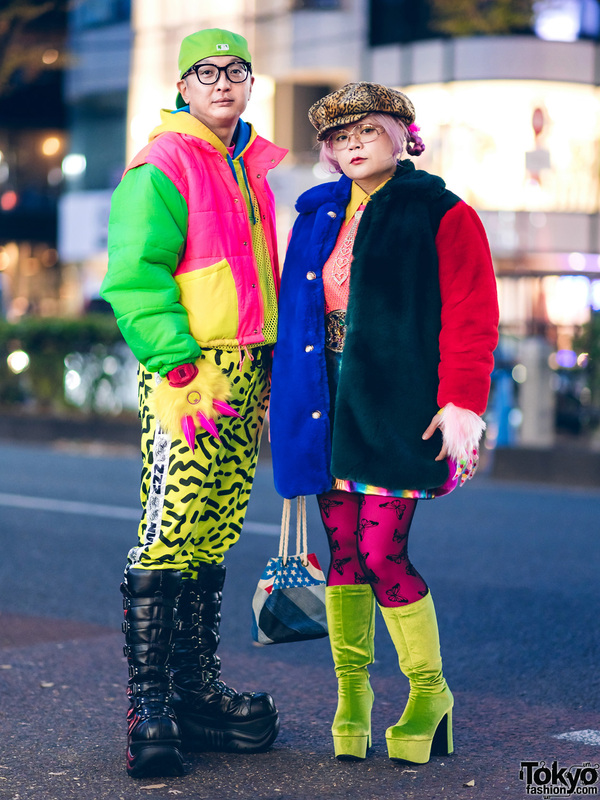 Harajuku duo in eye-catching conceptual fashion & avant-garde streetwear style while out and about one fine evening.